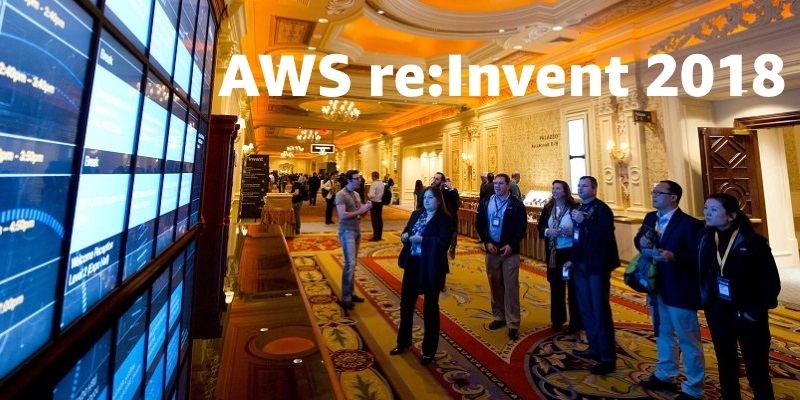 This blog post includes the Amazon DynamoDB sessions, workshops, and chalk talks taking place today at AWS re:Invent 2018. You also can see this list in the live session catalog. Follow us on @DynamoDB for re:Invent and other tweets. Planning to run spiky or unpredictable workloads? Worried that your traffic isn’t evenly distributed? In this session, learn how DynamoDB accommodates imbalanced workloads and eliminates throttling, so you can build with confidence. We dive deep into how DynamoDB shards your data, how partitions are managed, and how adaptive capacity simplifies capacity management. In this session, learn about the security features built into DynamoDB and how you can best use them to help protect your data. We show you how customers are using the available options for controlling access to their tables and the content stored within those tables. We also show you how customers are protecting the contents of their tables with encryption and how they monitor access to their data. GumGum recently moved to DynamoDB from Apache Cassandra. In this session, we discuss the architecture and design decisions made in the process, including comparisons of different NoSQL database options. We also share the justifications and steps taken to plan and complete the migration process. Finally, we cover the benefits and outcome of the migration, including performance boost, cost savings, and maintenance reductions. GE Aviation sells $1.7 billion annually in parts and service through a customer portal called myGEAviation. To enhance the customer experience, the portal lets users input specific variables and build custom reports for later viewing. This application, called p-dataquery, was experiencing performance and scalability issues on their Cassandra database. In this session, GE Aviation discusses how it rearchitected p-dataquery by using DynamoDB to resolve those pain points. In addition, learn how GE was able to solve concurrency and capacity issues by using Amazon Elastic Container Service (Amazon ECS) in their new architecture. Come to this session to learn how DynamoDB was built as the hyper-scale database of the future. In January 2012, Amazon launched DynamoDB, a cloud-based NoSQL database service. It was designed from the ground up to support extreme scale, with the security, availability, performance, and manageability needed to run mission-critical workloads. This session discloses for the first time the underpinnings of DynamoDB, and how we run a fully managed nonrelational database that is used by more than 100,000 customers. We cover the underlying technical aspects of how an application works with DynamoDB for authentication, metadata, storage nodes, streams, backup, and global replication. This hands-on workshop is designed for developers, engineers, and database administrators who are involved in designing and maintaining DynamoDB applications. We begin with a walkthrough of proven NoSQL design patterns for at-scale applications. Next, we use step-by-step instructions to apply lessons learned to design DynamoDB tables and indexes that are optimized for performance and cost. Expect to leave this session with the knowledge to build and monitor DynamoDB applications that can grow to any size and scale. Before starting the workshop, you should have a basic understanding of DynamoDB. Please bring your laptop and power supply to the workshop. DynamoDB is a nonrelational database that delivers reliable performance at any scale. It’s a fully managed, multi-Region, multi-master database that provides consistent single-digit millisecond latency and offers built-in security, backup and restore, and in-memory caching. Come to this session to learn how to build internet-scale applications with DynamoDB.